"Mother Embraces Son After Hurricane Harvey"
Miami resident Chris Martin makes his way through winds and floodwater on Brickell Avenue in downtown Miami during Hurricane Irma's landfall in Florida. Hurricane Irma, the most powerful hurricane ever recorded in the north Atlantic made landfall in Florida with winds exceeding 150mph. 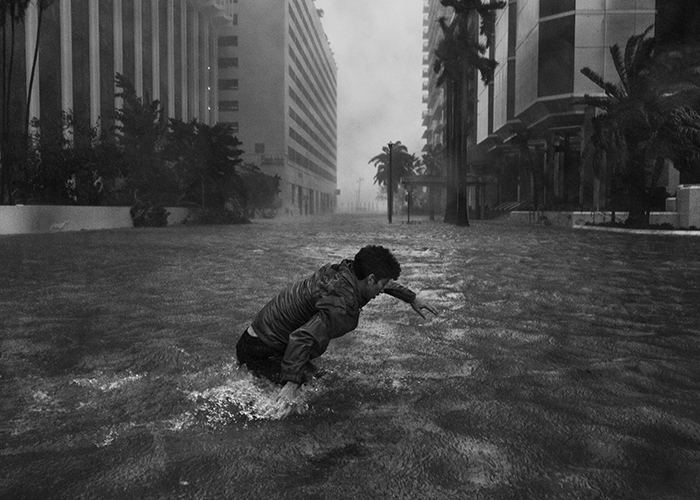 Storm surges flooded downtown Miami and left many along the Florida keys and the western coast without homes. Saturday, September 10, 2017.